I’ll be honest, I don’t put much faith in humanity as a whole. I do believe we are capable of amazing heroics and selfless acts of kindness and love. If you need an example, the horrifying events in an Orlando nightclub this past weekend should give you an idea of what I mean. One terrorist cooks up a plan to end the lives of as many people as possible. In the wake of the devastation, we see countless acts of love and heroism. One event makes me think people are disgusting, and the aftermath restores a little faith in humanity. Not everyone on the planet is a terrible person. Yes, what could go wrong with this plan? We’ve had so many successful utopian societies. I, for one, have never met a ‘landless’ farmer. The farmers I know either own their farm or legally lease it from a neighbor. What they don’t do is go and start a petition to be allowed to take their neighbor’s land and use it as their own. This initiative would have allowed the Community Organic Farmland Initiative Council to make a grab at any land currently used for agriculture as long as the landholder owned 1,000 acres or more within Maui County. This applied to more than just HC&S (or A&B). This wasn’t just about sugarcane lands being stolen and turned into an organic utopia where we’d all get to eat for free. Haleakala Ranch would qualify as prey for these thieves. At one speaking event put on by the SHAKA founder Bruce Douglas, he assured the attendees that they wouldn’t take any land from anyone but HC&S. They only want sugar land. They wouldn’t go after anyone else’s land. Promise. For now. What was required to make this deluded dream a reality? Exactly 9,201 valid signatures needed to be collected and turned in to the County Clerk. Last night, the County Clerk confirmed that the Farmland Initiative failed with only 7,305 signatures. Granted, they turned in over 18,000 signatures, but considering the way they were asking people to sign, I’m not surprised they were invalidated. I was hit up in the parking lot of the Ag Fest (where they were illegally garnering autographs) and asked if I’d like to see more organic farms on Maui. “Let me think…NO!” I’d love to see more farms of all kinds on Maui, but not this way. Not by stealing. Not by misuse of eminent domain. Not by taking from one farmer and giving to another. Last I checked, Hawaii is still part of the United States, which, last I checked, is still governed under the Constitution. I write this all to say, my faith in humanity is a tiny bit restored. Eighteen thousand, one hundred sixty-six people think it’s OK to steal, and only 7,305 of those people are legal voters in our county. Over 7,000 people on Maui think property ownership doesn’t matter. I’d watch out for those 7,305 people and hold your wallet close. They missed that grade school class on the constitution. 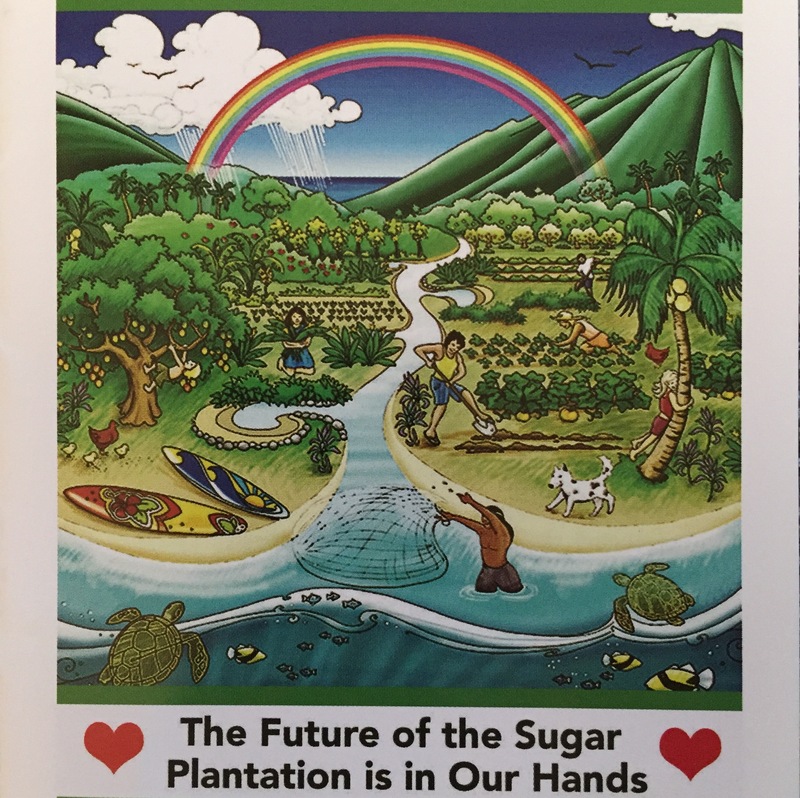 Tags: Agriculture, Community Farmland, Community Organic Farmland, Community Owned Organic Farmland, Farmland Initiative, Hawaii, Maui County, Petition, SHAKA, Signatures. Bookmark the permalink. Nice summary. I also have not run across this newly identified group, ‘landless farmers.’ At Coop Extension we had many new Master Gardeners come to us through the years wanting to learn how to garden better, but don’t ever recall meeting a landless farmer or boatless sailor. Collectivism and farming were a poor match in the USSR and had lethal consequences in China’s great leap forward (that wasn’t). Wanting to adopt this model does not reflect good mental health.